EXCLUSIVE NEWS from MagiCat World: after months of secret development, we are excited to announce the release of our new game, Crazy Dreamz: Best Of on Steam on March 22nd. Watch its new trailer NOW! 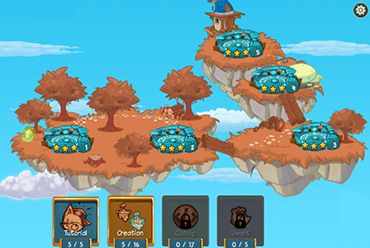 As the First-Ever Crowd-Developed Game, it gathers the 100 best user-crafted levels from Crazy Dreamz: MagiCats Edition - and what's more, those community creators will receive 50% of the game's revenue. 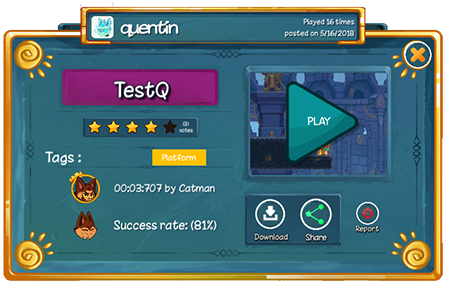 You will play as a brave MagiCat to save the MagiCat Kingdom! Evil rats invaded your country. Lands were plundered… and there are no fish left to eat. What a tragedy! Fight against the rats’ army, defeat the mysterious and epic boss, and behold the awesome power… of the cat! 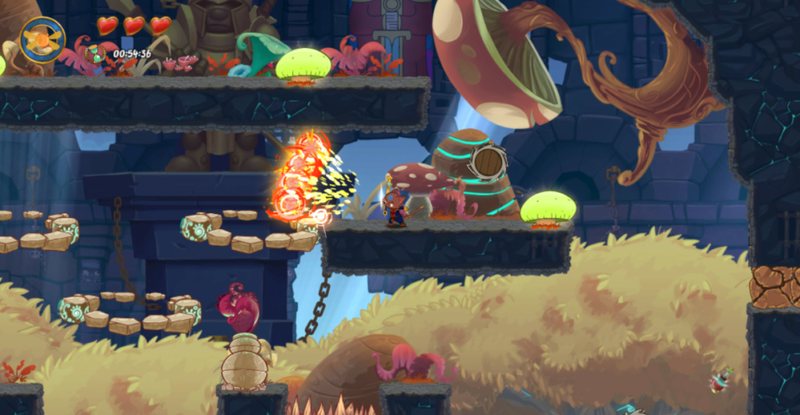 In the game, you will enjoy epic boss fights, numerous exclusive skins and beautiful hand-drawn 2D environments. Let’s look forward to our MagiCat’s new adventure together! Crazy Dreamz: Best Of is LIVE on Steam today. 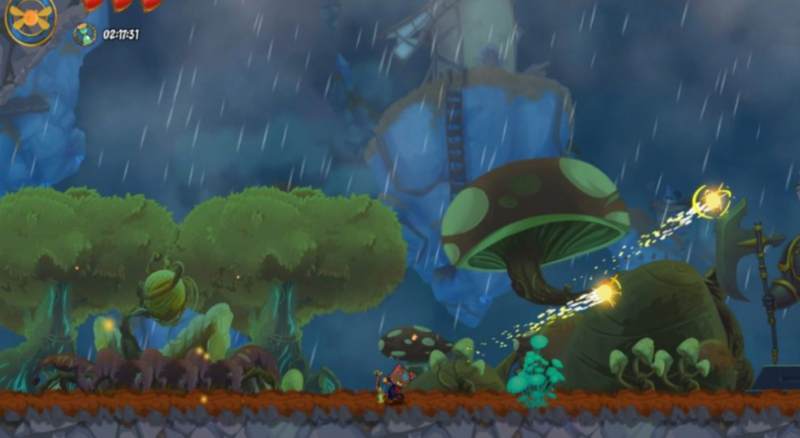 100 outstanding levels, epic boss fights, interesting story and beautiful hand-drawn 2D environments...all are waiting for you in the MagiCats' World! 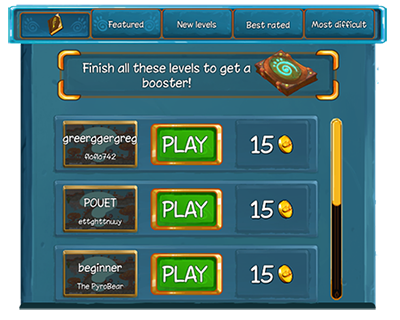 More important, you can support our young and talented level creators who will get 50% of the game revenues. Since today is a big day for our game, we set an exclusive Daily Offer: be the first to buy the game and you will get an exclusive engineer skin (ONLY Today). What's more, you can benefit from our launch promotion and save 20% on Crazy Dreamz: Best Of and enjoy the First-Ever Crowd-Developed Game! Time to start the new adventure! Welcome to the new patch notes, adventurer! Please note that you have to upgrade your version of Crazy Dreamz: MagiCats Edition to access this content! After the big launch of Crazy Dreamz: Best Of, we are happy to go back and keep improving Crazy Dreamz: MagiCats Edition. - The new menu style is implemented to be clear and cute! - With the New UI elements added, our MagiCat has more emotions. - New adventure islands were built! - Various new popups have been changed! Today, we are launching a bunch of surprises and a lot more are coming soon! -	Our game becomes MagiCats Builder! Since MagiCat becomes more famous than Crazy Dreamz (this cat is out of control! ), we decided to switch this shorter and clearer name! 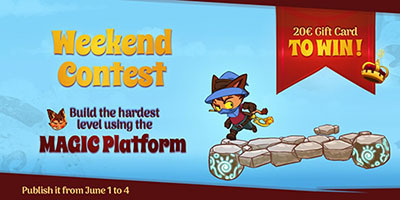 To celebrate our update, we are going to hold the Weekend Contest from June 1st to 4th. The winner will be announced on June 5th. 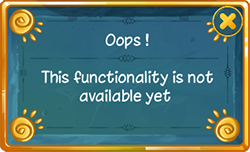 During the contest’s period, you will get the epic object, Magic Platform more easily! The fairy brings…good luck! Open the card and receive our gifts! 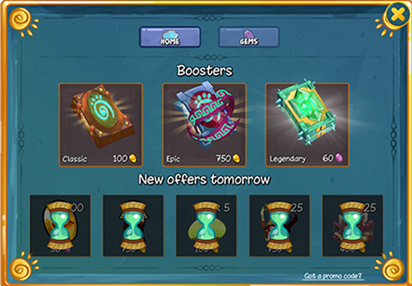 Some day you will be very rich…by keeping finishing the daily quests! Is your level a puzzle, speedrun or narrative…? Set a tag for players with the same taste! We go back to Instagram! Follow us to get more fascinating images and explore secrets behind the development! We’ve been silent quite a while, but it’s been for a good reason! All this time, we’ve been working like crazy with all the MagiCats to make the kingdom even better. And now, we’re proud to present you the official release of MagiCats Builder! The game is now out of early access/beta and has become something far greater than what we first released, 8 months ago. We’re extremely proud of this and we hope you’ll like playing it as much as we had fun making it. So here it is: thank you for following us through this journey and we hope you will follow us for the rest of it as well. They’re bigger and more mature! 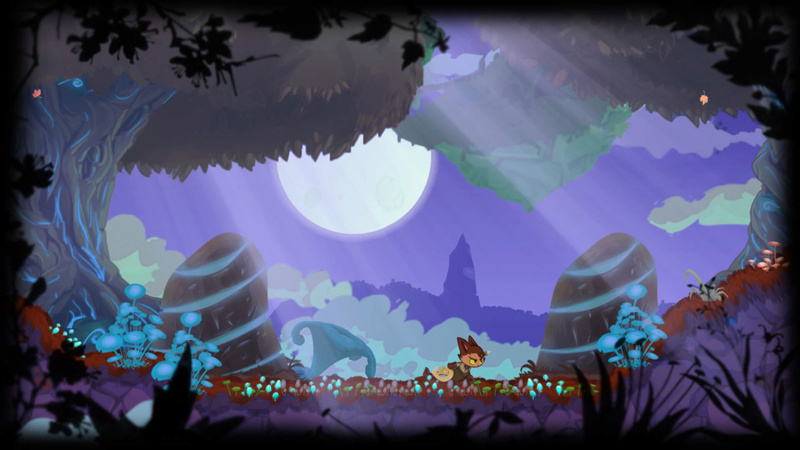 Enjoy also the remastered classical environment with redesigned decoration! Tired of the sun? Feeling like you need a good midnight stroll or the cold touch of rain on your neck? These new variations are for you! With the game releasing today, the whole team has been jumping around and so is the logo now! Now, you can customize your MagiCats more than ever before, with some new skins coming soon! some terrifying decorations to fill your Castle levels with! We made an all new menu screen for you guys, and it’s even more dynamic. Now, you’ll know you’re truly in the MagiCats kingdom! One of the most demanded feature is here… The MagiCats have been training all summer, and can now dash after jumping! Become the ultimate MagiCat parkour master! 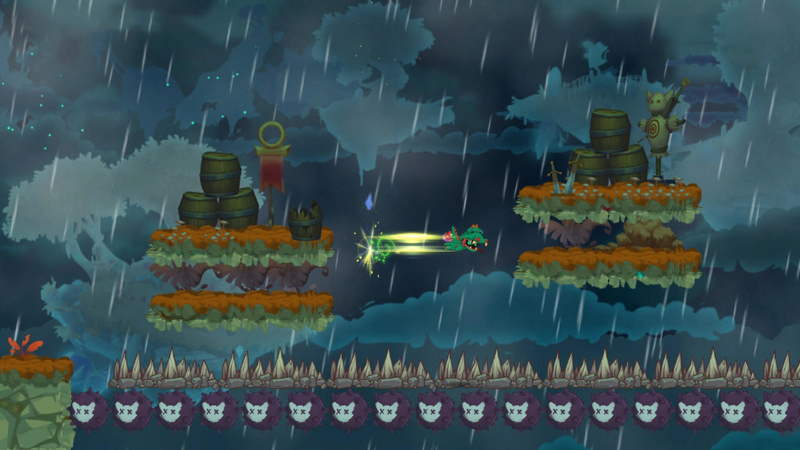 The MagiCats are now the great Wizards they were destined to be… Charged shots will let you rain fire on your enemies! Proud of all these cool things you’ve done in-game? You can now brag about it on your Steam profile. 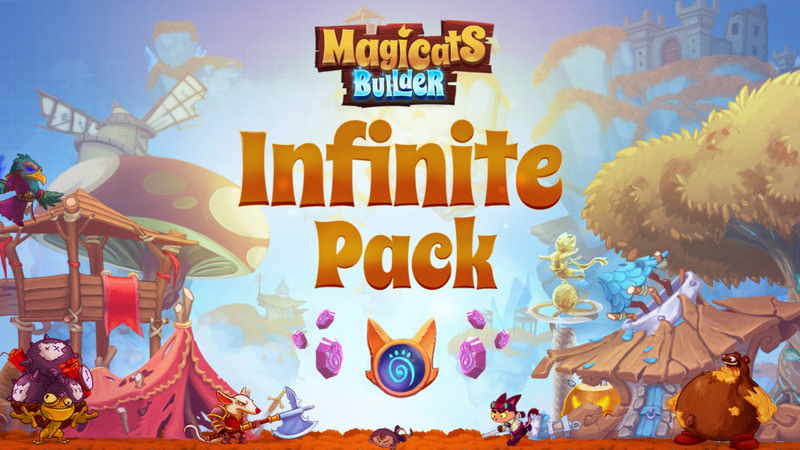 Finally, it’s here, one of the most demanded features of the community: The Infinite Pack! Have you been dreaming about the ultimate MagiCats experience? Endless building? A completely epic look? The Infinite Pack is for you. Offering you EVERY item, skin, environment, boss, etc. in-game! You’ll be the most powerful MagiCat in the entire kingdom. The MagiCats are now facing more dangers than ever and have decided to join forces. Play with up to 4 MagiCats on any level of the community! Have you found a bug? Tell us about it on Discord : ! And that’s it for now! We’ve worked hard on this and we’re proud that you get to try it. Don’t hesitate to give us some feedback, we always love to hear from you!